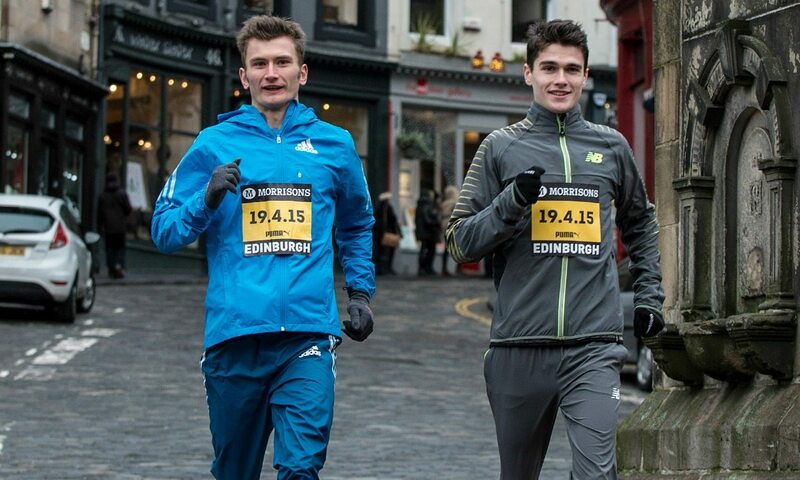 Derek Hawkins (pictured above, left) is to join his younger brother Callum (above, right) on Great Britain’s team for the Rio 2016 Olympic Games. The British Olympic Association and UK Athletics has announced the first six members of the athletics squad that will represent Team GB in Brazil this summer. Callum Hawkins and Tsegai Tewelde both qualified automatically as the first two British athletes with the qualifying time across the finishing line in Sunday’s Virgin Money London Marathon, placing eighth and 12th respectively. Derek Hawkins was the third British runner in that race, placing 14th overall, and he also clocked a time within British Athletics’ 2:14 qualifying standard. London 2012 Olympian Scott Overall had the qualifying time from the Berlin Marathon last September but dropped out in London after 25km. Alyson Dixon and Sonia Samuels had also both already run British Athletics’ qualifying time in Berlin last September as they went sub-2:31, and the duo sealed their Rio spots by finishing as the top two Britons in London, finishing 13th and 14th respectively overall. Charlie Purdue, who was the third British athlete to finish at the London Marathon placing 16th overall, has not been included in the team. The 24-year-old was outside of British Athletics’ qualifying time with her 2:32:48 clocked on her marathon debut, but within the 2:45 qualifying time which had been set by the IAAF. Along with the marathon runners, 50km race walker Dominic King has also been selected to represent Team GB. Rio will be King’s second Olympic Games after he competed in the same event four years ago in London. The rest of the athletics team will be announced in the coming months. “I’m delighted to be able to welcome the first group of the athletics squad for Rio 2016 into Team GB,” said Mark England, Team GB’s Chef de Mission for Rio 2016. British Athletics performance director and Team GB athletics team leader Neil Black commented: “I congratulate the six athletes, and their coaches, on being selected to represent Team GB at the Rio 2016 Olympic Games this summer.